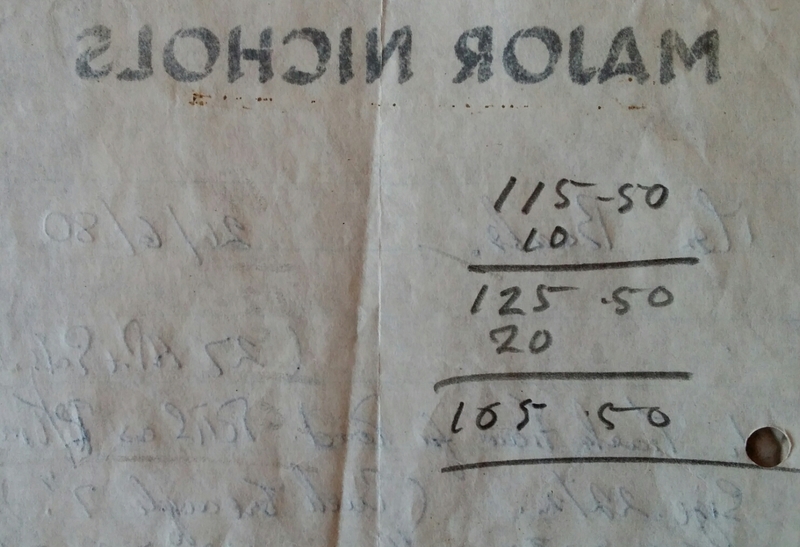 In the late 1970’s and early 1980’s Major made a number of track bikes for road use and the buyer was a well known racing cyclist, John Williams, owner of Hill Cycles, Neath who favoured Major’s RRS model. (Record Road Sprint). Some of these John had built as what he calls ‘Work’ bikes as he used them for training and riding on fixed gear. Essentially the design is to make a road machine able to do serious hard and competitive mileage. 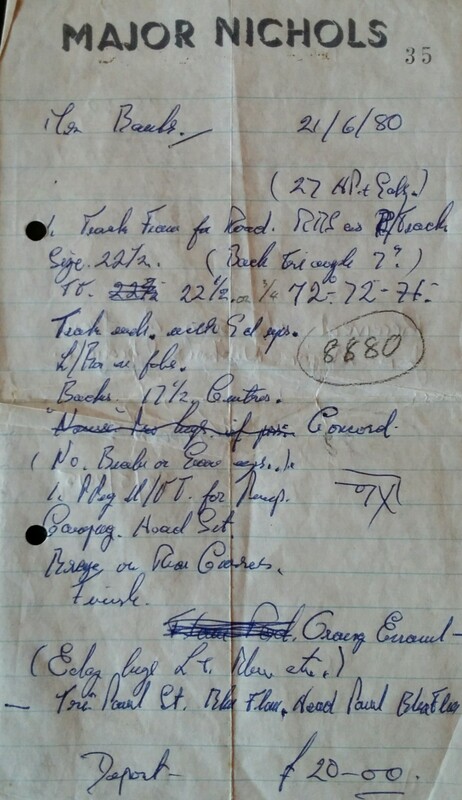 MN 8880 was built for a Mr Banks in this general pattern in 1980 as we see from the order and receipt. Perhaps the finest individual feature of this tough machine is the twin plate like cast fork crown for which I have no pattern or makers name, harking back to the 50’s and earlier. It is combined with the round forks of typical RRS sickle shape. Anecdotally we have been told that Major believed the round section to be stronger than the later ‘D’ section which makes an interesting point for discussion. The 22.5” frame has the classic 72/72 degree road race geometry and 17.5” chainstays. 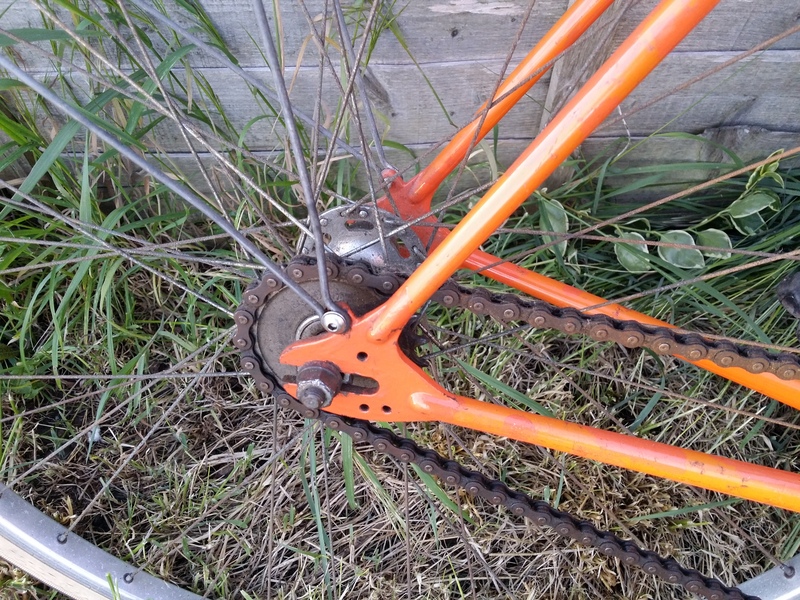 This gives space for mudguards and a degree of ride comfort. The lugs are long point Prugnat or possibly Haydon with windows. The rear dropouts have drillings for mudguard and carrier and there are braze on eyes on the fork dropouts and a light boss on the right fork blade. The original finish is in great shape. 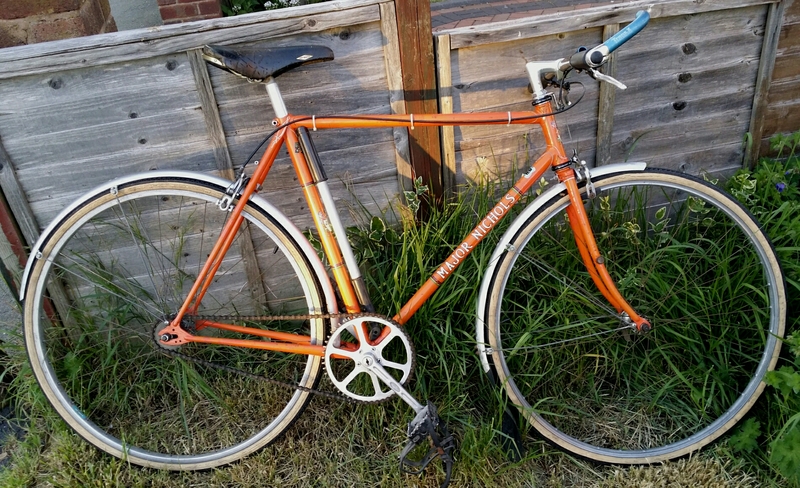 She is orange with a beige seat tube panel. 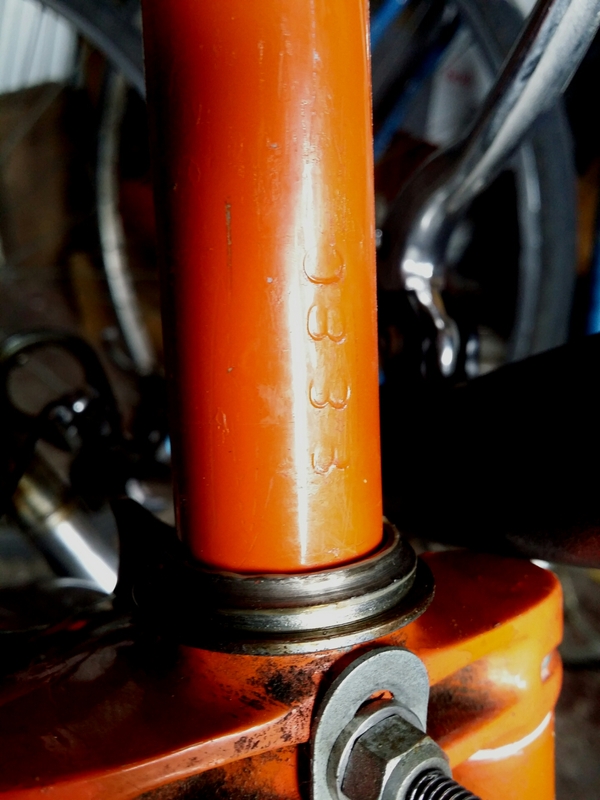 The Durban Road head badge is on head tube and seat tube panels. The luglining and double fishtail motifs on the top eyes of the wrapover seatstays is all in white. 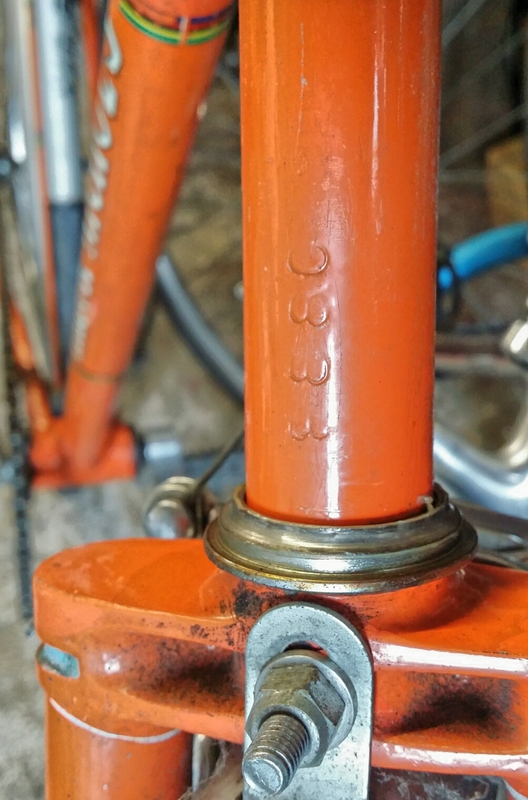 The Reynolds 531 DB transfer is hanging on. Just imagine her with some Cinnelli Giro D’Italia bars perhaps.